Embraer and Horizon Air have signed a firm order for 30 E175 jets. The contract also includes options for another 33 aircraft of the same model. 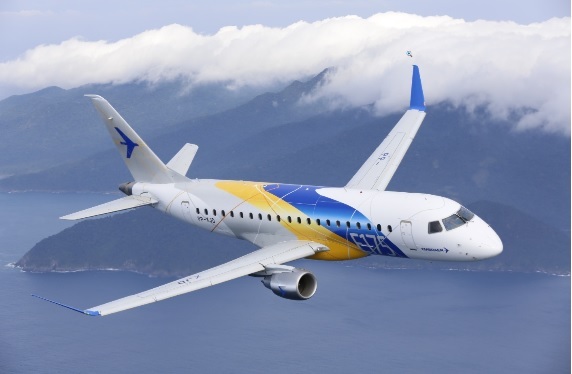 The value of the contract, which will be included in Embraer’s 2016 second-quarter backlog, is USD 2.8 billion, based on current list prices, if all the options are exercised. The deliveries will start in the second quarter of 2017 and the aircraft will fly exclusively for Alaska Airlines. The E175 is not new for Alaska customers, who may have flown on the regional plane in 16 markets operated by Capacity Purchase Agreement (CPA) partner SkyWest Airlines. With this contract, Embraer has sold 332 E175s to airlines in North America since January 2013, earning more than 80% of all orders in this class. The E175s for Horizon Air will feature aerodynamic enhancements introduced by Embraer in 2014, such as new wingtips and other technical improvements that reduce fuel burn. The 76-seat aircraft will be configured in a three-class layout, with 12 first class seats, 16 in premium class, and 48 in the main cabin. Since entering revenue service in 2004, the E-Jets family has received more than 1,700 orders and over 1,200 have been delivered. The aircraft are flying in the fleets of 70 customers in 50 countries. The versatile 70 to 130-seat family is flying with low-cost airlines as well as with regional and mainline carriers.